Big Bunny Market is a family owned and operated enterprise as it has been since it's inception. The business was started by brothers Henry, Sonny, and Peter Palmerino in the early 1950's as a means of achieving their American dream. They purchased a small store located on Pleasant St., Southbridge, MA and moved their store down the street to the corner of Canal and Pleasant St. shortly afterwards to accommodate their growing business. In the early 1960's they moved to the present location at 942 Main St. The Big Bunny Market Plaza, anchored by the supermarket, was soon added and was the first so-called "shopping center" in Southbridge. In 1985, Henry Palmerino became sole owner of the property and business when his two brothers retired. The family tradition continued with several immediate family members at work in the business along with many long time employees. Henry's two son-in-laws had entered the business and continued the family tradition through Henry's eventual retirement in 1989. In 1988 an expansion and cosmetic renovation of the supermarket interior took place followed by a major renovation of the entire Plaza in 1996-97. 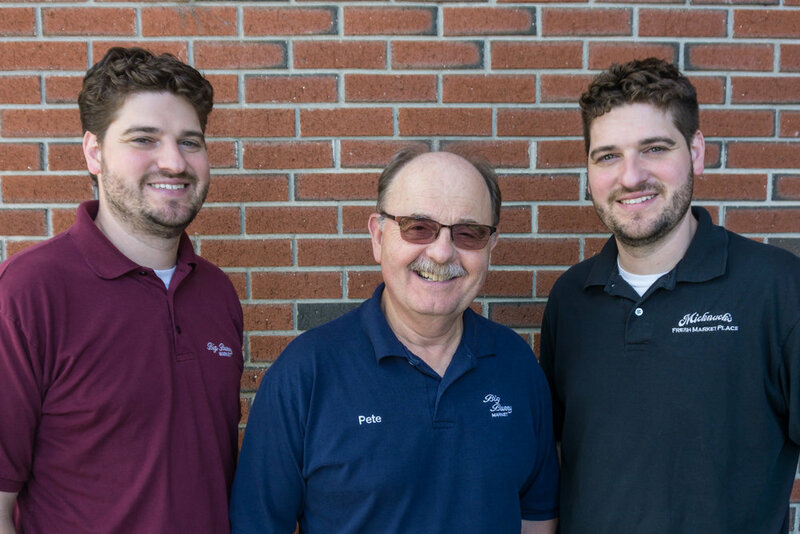 Third generation family members are currently actively working in the business along with many longtime employees who now form the Big Bunny Market family. Big Bunny Market remains a viable family owned and operated independent supermarket amongst the various chain stores in the area. In fact, Big Bunny Market expanded its operations in 2001 by opening a fresh marketplace concept store in Sturbridge known as Micknuck's Fresh Marketplace. We are proud of our heritage and humbled by the success that has been achieved over the years. We are looking forward to the challenges of the future and we are confident that the family values, honesty, and teamwork which has characterized Big Bunny Market throughout it's existence, will guarantee continued success into the future.